The Proline PLDR6 is the only snare drum utility rack designed specially for drummers to store multiple snares of various sizes. Ideal at home, at rehearsal spaces, in studios – anywhere a drummer or facility wants to store their instruments safely while keeping them easily accessible. 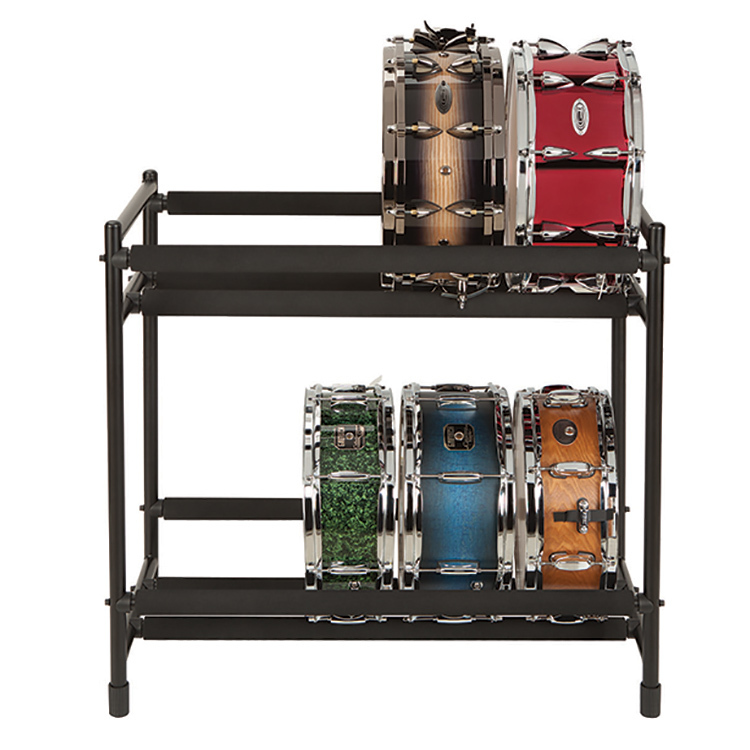 With 30″ double shelving, the PLDR6 accommodates all snare sizes – from piccolo to extra deep – or any combination of snares, toms and other drums. Extra thick padding provides superior protection that is safe for all finishes. It’s an affordable solution that finally gives drummers the ability to see and have instant access to any drum they need when inspiration strikes. Note: Snares in picture are sold separately.